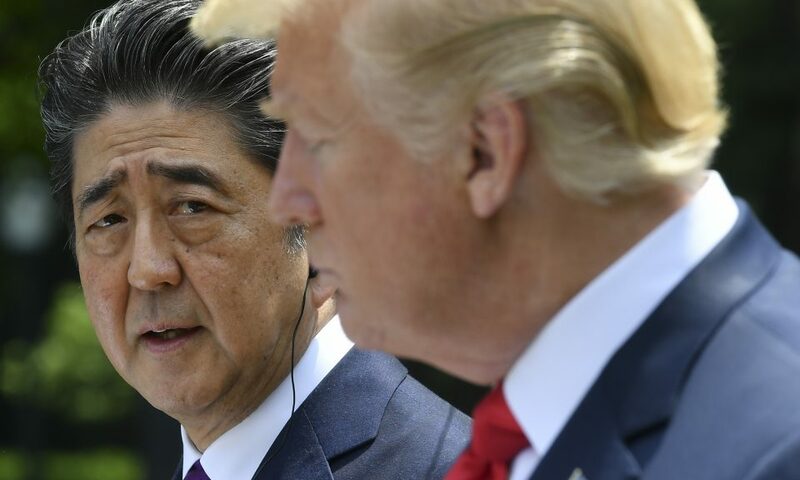 WASHINGTON — U.S. businesses are seeking a comprehensive trade deal with Japan that also includes services and investments even as Tokyo tries to limit the scope of upcoming bilateral talks to goods only. American industries had one month through Tuesday to submit written comments to the Office of the U.S. Trade Representative regarding a trade deal with Japan. The office will hold public hearings on the subject Dec. 10 and draft a list of priorities by 30 days before negotiations begin, possibly as early as January. The U.S. Chamber of Commerce said the White House should pursue a comprehensive agreement not limited to lowering tariffs on certain goods and services. Information technology provider Cisco Systems also requested that broad rules for services, e-commerce and intellectual property covered by the Trans-Pacific Partnership agreement be discussed in the first round of negotiations. Japan, on the other hand, has insisted that the talks will cover just trading of goods instead of trying to work out a comprehensive free trade agreement, which would include services. The U.S. Meat Export Federation asked for a quick agreement on tariff cuts to pry open Japan’s agriculture market. The group claims American beef exports to Japan will decline by over $600 million by 2023 if the 11-member TPP and Japan-European Union Economic Partnership Agreement take effect by spring 2019. U.S. agriculture groups said Japan should open its market to American goods by more than what the TPP requires. In the auto sector, the U.S. Chamber of Commerce requested that the White House ask Tokyo to review safety standards to make it easier for American cars to enter the Japanese market. In return, the chamber and the National Automobile Dealers Association said Japan should be excluded from high auto tariffs if a deal is reached. Both Japan and the U.S. have agreed to shelve auto tariffs while talks are underway. The trade office notified Congress Oct. 16 that it plans to begin negotiations for a trade deal with Japan. U.S. trade law requires that Congress be notified 90 days in advance, which would allow talks to start as soon as January.